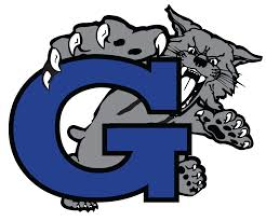 The mission of the Garinger Education Foundation is to provide scholarship opportunities to graduating students and to enhance the educational program at Garinger High School by developing and supporting initiatives that improve the educational environment for students, teachers, administrators and parents. On Wednesday, March 13, the GEF will serve lunch for the faculty and staff on this early release day. Want to help? Come to the cafeteria at 11:00 and join the fun. Our Fall Campaign has good news to share. We reached our goal to meet our scholarship needs for 2019! Funds received from this point will help provide scholarships for our 2020 graduates. Are you looking for a gift to honor a special teacher? Perhaps you want to recognize an alum who has made an impact on your life. A paver on the Walk of Honor to the Vietnam Memorial at Garinger High School will be a lasting remembrance. All proceeds go to benefit the students and staff of Garinger High School. Visit out Contribute page! You can download the Paver Form and contribute online or by check.